Join more than 150 Vermont business people October 25 for VBSR’s fall program ”Cultivating Talent Through Inclusivity” at the Killington Grand Hotel. You will gain new tools for creating a more equitable workplace where your employees will thrive, and learn best practices for attracting and retaining top talent from diverse applicant pools. Thanks to our keynote sponsor New Ground Creative, we will begin the event with a keynote address by Dr. Jude Smith Rachele, CEO of Abundant Sun, “Dismantling Diversity Management – Introducing an Ethical Performance Improvement Campaign.” You’ll have the opportunity to engage in peer conversations and dialogue with Ms. Smith Rachele to learn how to apply this new thinking to your business. Throughout this half-day conference you will attend workshops focused on supporting employees in recovery, explore policies for leveraging a multi-generational workforce, and build skills for navigating differences in culture and class in professional contexts. The program ends with a networking reception where you can keep the conversation going by sharing the days lessons with new friends and colleagues. Please click here to learn more about our presenters. Boxed lunches will be available for purchase via the registration link. Attendees may also visit Preston’s Restaurant in the hotel for lunch. Global diversity and inclusion management practice is in a state of arrested development. Leaders and practitioners are caught in grooves which are no longer effective, if they ever were. 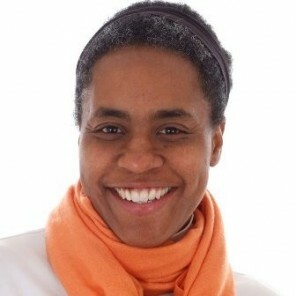 In this fascinating presentation of Dismantling Diversity Management, Dr. Jude Smith Rachele takes a big leap in propounding that organizations, given the incredible complexity of the world’s social, economic and political fabric, must embrace morality and not just seek to act merely for reasons of legal compliance or profit. Dr. Rachele presents a joined up system of diversity, which also extends beyond human resources into the wider fields of organization and leadership development. Join us for a two-lens approach to building and supporting your workforce: Incumbent workers and prospective employees. State and local agency representatives, employers, an employee in recovery and a business-to-business support service will share how to create a successful workplace environment for sustainable employment. Liz Vogel, CEO, Dots, Inc.
It’s time to rethink our world of work. With five generations in the workplace, a current labor shortage, rapid attrition, and increased disengagement of today’s worker, we need effective conversations and creative solutions to engage, challenge, and keep our workforce productive and engaged. We need solutions that leverage the wisdom and experience we have available with the experienced workforce and allow us to collaborate across the generations and co-develop innovative ways to bridge the labor and knowledge gaps to keep our employees, and businesses, strong and competitive in the future. In this workshop attendees will receive contextual information about the causes and impacts of economic inequality on the workplace. We will then practice shifting our unexamined, socio-economic class-based assumptions into more accurate and strengths-based stories. We will look at where those assumptions are impacting organizational policies and practices, and set goals for equitable change. This training is great for anyone who recognizes that economic inequality is real and would like a chance to gain tools for equity in the workplace. This workshop will provide the tools to create a workplace culture that is diverse and thriving. Workshop 4 – Employment in Recovery, part 2: Tools to Support Employees and New Hires who have Substance Use Disorder or are in Recovery. The generation born between 1981 and 2000 has much different expectations for a flourishing workplace. From communication style to vacation time to salary, our future workers are rewriting the rules on policies, procedures and behavior. Join Luke Stafford, owner and Chief at Mondo Mediaworks, as he shares insight from his own youthful business, plus nationwide trends and data from the morphing workforce. He’ll discuss everything from cell phones in the office to monthly “happiness surveys.” Yes, happiness surveys are a real thing! When you’re a person of color, a poor or working class person, a queer, trans, or gender nonconforming person, the workplace can be a minefield. Often, well-intentioned businesses attempt to hire folks from marginalized populations, but can’t retain them. Why? In this introductory session, we’ll explore our own experiences with microaggressions, and learn how inequity plays out on internal, interpersonal, and policy levels. Participants will practice interrupting internal bias that can lead to microaggressions. You will leave this workshop with next steps and resources to support you in taking that next step. New Ground Creative works with mission-driven nonprofits, educational institutions, community banks, and businesses with heart to build their brands through engaging design, dynamic campaigns and authentic messaging. We believe in a collaborative process, sharp focus, bold ideas, amazing outcomes, changing minds and changing lives. With our clients as our partners, we aim to transform the dirty little word that is “marketing” into a heart driven process with a lasting impact. For more information, let’s chat 802.257.5827 or visit newgroundcreative.com. The founders of Dealer.com wanted to make the car buying process better, faster and simpler. Their inspiration was technology. 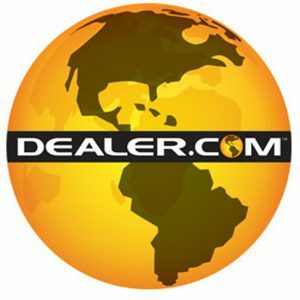 Founded is 1998, Dealer.com begin redefining the expectations and changing the digital face of the auto industry. They didn’t just focus on the world outside – they looked inward to see how they could create a work environment unlike any other – where the desire to be creative, innovative, healthy, expressive and fun is nurtured and appreciated at a whole new level. Today, Dealer.com is an 800-person strong company with bi-coastal offices serving 40 percent of the auto industry’s marketing needs; all made possible through a culture rich in openness, wellness, development, community engagement, and individuality. Gallagher, Flynn & Company, LLP, an independently owned, widely respected CPA and business consulting firm is. The firm, one of the largest in Northern New England, provides tax, audit and business consulting services to a diverse group of clients. Listener-supported Vermont Public Radio has served Vermont and the surrounding region since 1977. 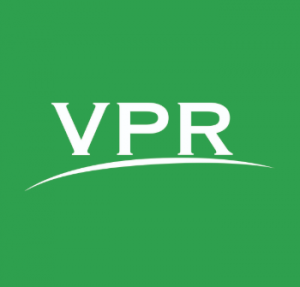 As the only statewide public radio network, VPR provides an essential and trusted independent voice for news, information, music and cultural exploration for the people of our region. After outgrowing its headquarters of 20 years and with the support of a generous community of donors, VPR recently expanded and updated its Colchester facility to include the VPR News Center and Studio One, a public performance venue. With assistance from Efficiency Vermont, VPR is working to become one of the first “net zero” public media facilities in the country. Vermont Rural Ventures (VRV) is a qualified Community Development Entity operated by Housing Vermont that secured its first allocation of New Markets Tax Credit (NMTC) in the spring of 2009 and subsequent allocations in 2012, 2013 and 2014. VRV deploys NMTC resources to support investment in the economic, environmental, and social well-being of Vermont communities. NMTC funds are used to retain and create jobs for Vermonters by financing key community developments in downtown and village centers and in other concerted community efforts which demonstrate positive impacts on Vermont’s economic, health care, energy and food systems. WrightJones is a full-service employment law firm solving workplace problems that employers face every day. The Marlboro College Center for New Leadership works with mission-driven individuals and organizations to build leadership capacity through teaching, coaching, and consulting. Signature cohort programs include: The Certificate in Nonprofit Management, Women’s Leadership Circles of Vermont, Training, Facilitation, and Consulting Certificate and Consulting & Coaching Services. Common Good Vermont believes that Vermont’s nonprofit organizations are part of a larger social economy. We are dedicated to uniting and strengthening all of the mission-driven organizations that serve the Green Mountain State. This work is made possible through collaboration with local, regional and state leaders, striving for a thriving nonprofit sector that contributes to the well-being of Vermont.